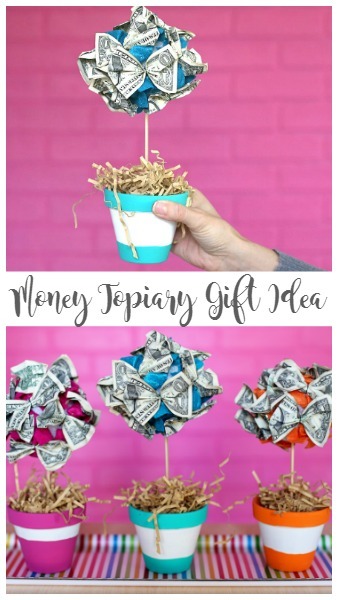 When you want to give something crafty, but all they want is cold hard cash – how about this Money Topiary Gift Idea – love it! Need a last-minute gift idea? 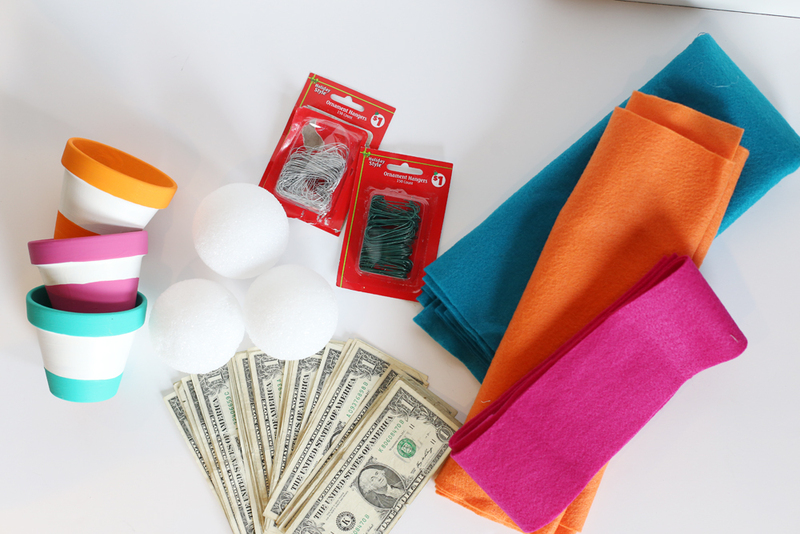 I think the go-to for an instant gift is cash, but why make it boring when you can give it in a creative way! 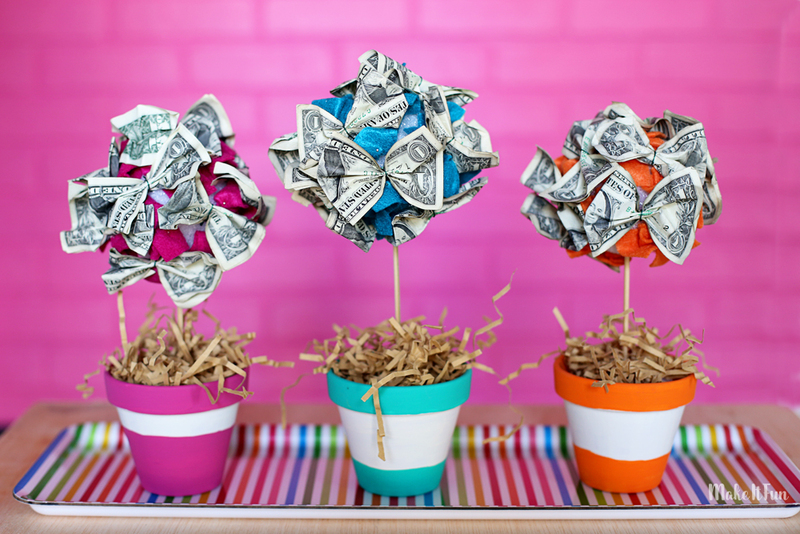 This Money Topiary is quick and easy to make and will take your gift to the next level. 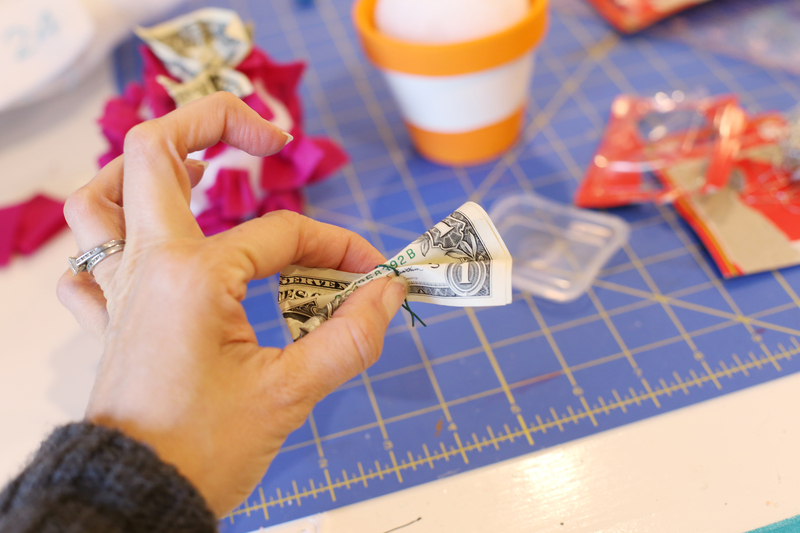 You could wrap the pot with a big holiday bow or put the whole thing in cellophane like a gift basket…lots of options~ Either way it’s going to make a big impact…way more than a boring stack $1 bills. 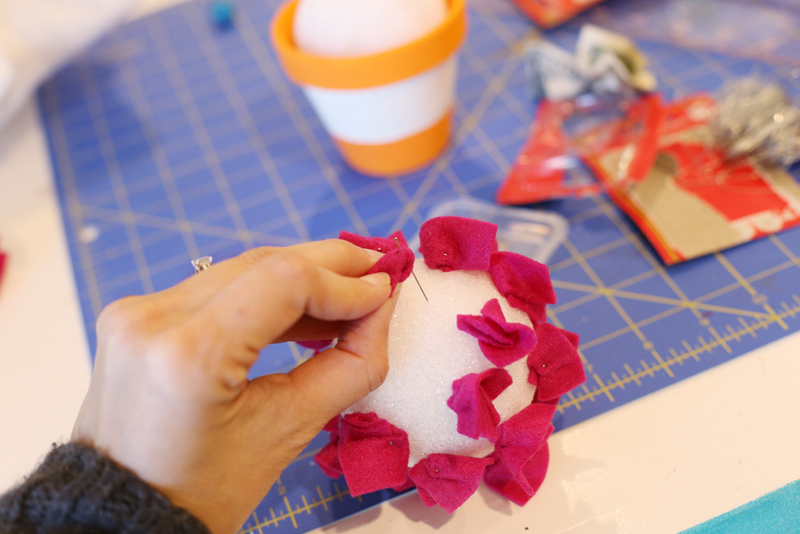 then push a straight pin through the center of the felt into the foam ball. Next, add the money! Fold the bill in half, then pinch the middle and wrap with wire. 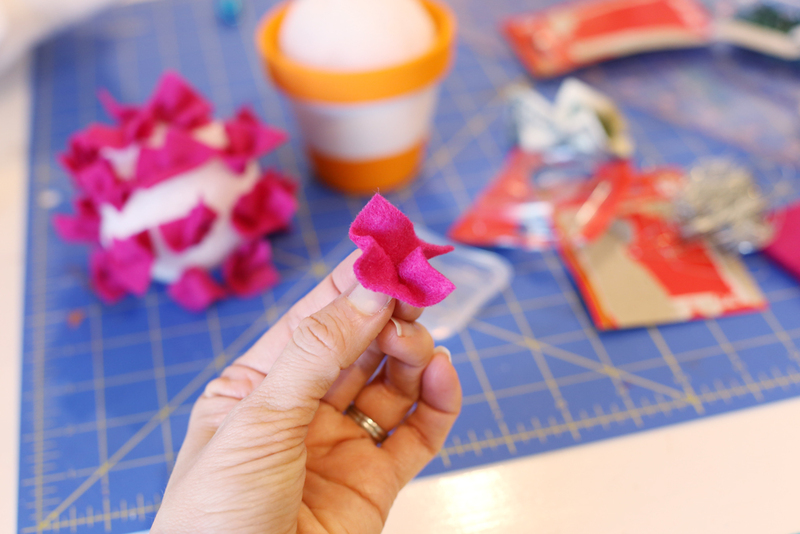 Push the ends of the wire into the foam ball. Repeat with the rest of bills. The topiaries I made are each holding $10 in ones. Bigger topiaries can hold more, or you can squish more onto these ones.